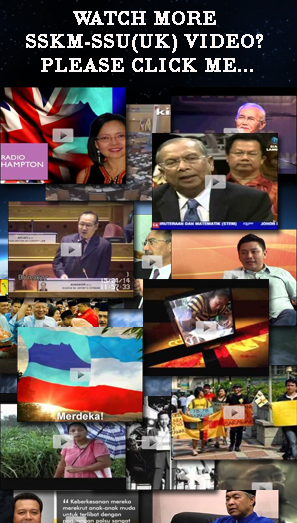 SABAH, S'WAK SECESSION: Really just a 'vocal minority' or is Putrajaya lying to itself? 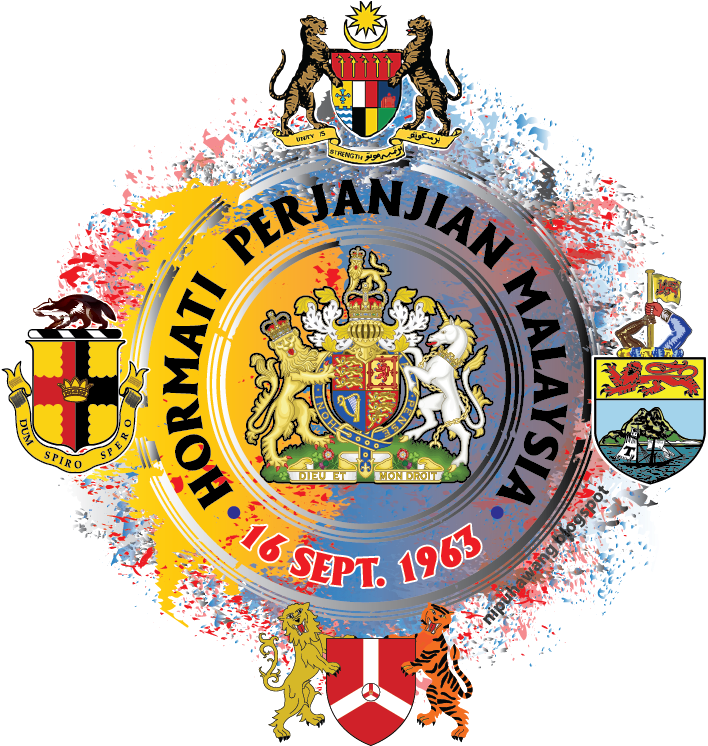 It has been 51 years since the establishment of the Malaysian federation on 16th September 1963, which comprised the States of Malaya, North Borneo, Sarawak and Singapore. 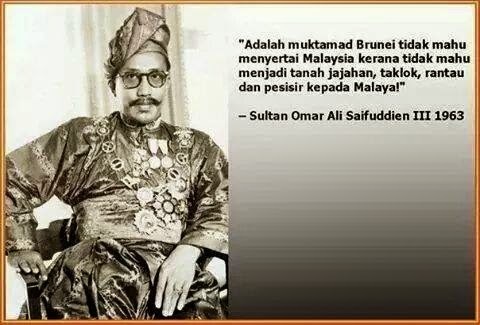 At that time, the formation of Malaysia received several objections from neighboring countries of Indonesia and the Philippines that delayed the declaration, allowing the United Nations to conduct referendums in North Borneo (which was later renamed to Sabah) and Sarawak. 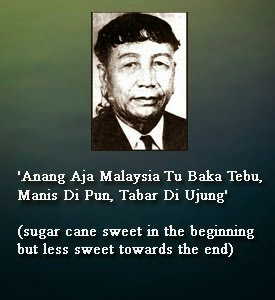 Although the road to East and West Malaysia’s unification has not been smooth or problem-free, we have achieved much in the last 50 years together while at the same time, much has been overlooked as well. 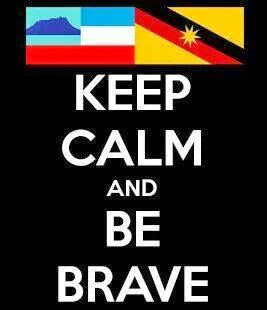 In 2010, it was announced that Hari Malaysia will be an official public holiday for all the states in Malaysia to celebrate the unique diversity, unity and harmony between all races, cultures and religions that is Malaysia. 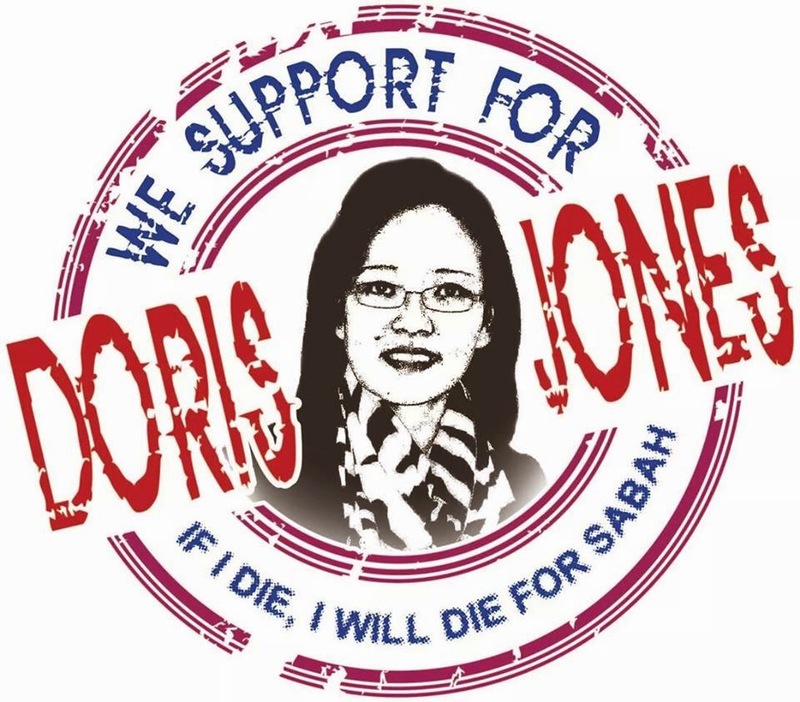 Doris Jones, the activists behind the 'Sabah Sarawak Keluar Malaysia' group. However, not everyone is happy with the federation. Recently, there have been calls for Sabah and Sarawak to secede from the federation. However, this seems like a self-defeating move as any political novice can clearly see in the original ’20 Point Agreement that neither state can secede once they are party to the agreement. 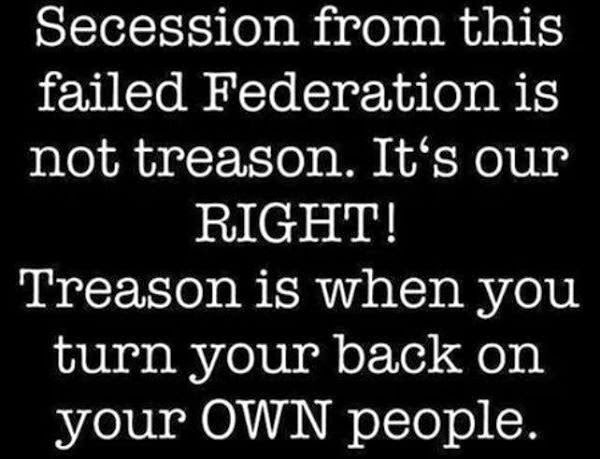 So, why all the noise about secession? And why now? Is it an opinion held by a small minority or is the undercurrent of dissatisfaction much deeper and widespread? 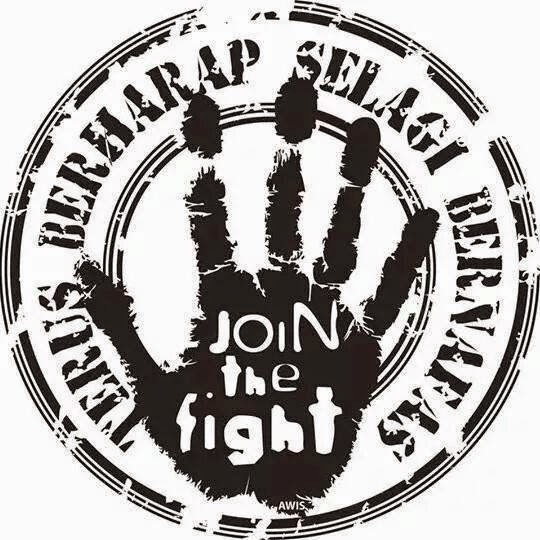 Even if it is an opinion held by a very small group of people, if left unchecked and the problems they are facing left unsolved, then can it can grow and gain enough support to become a credible threat in the next general election? 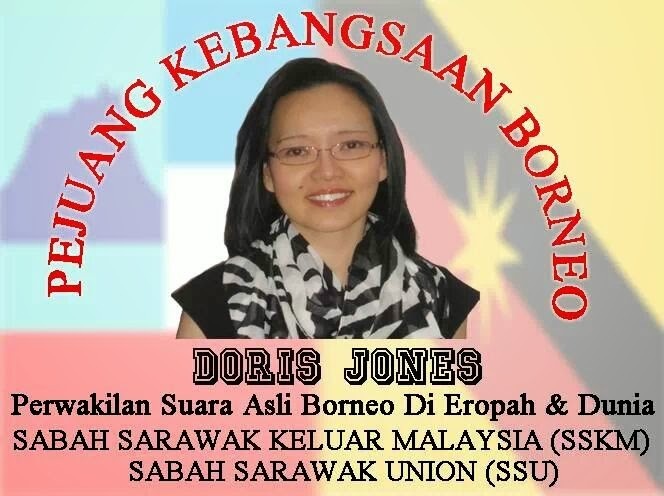 Among the parties involved include a group called Sabah Sarawak Keluar Malaysia (SSKM) by a little-known UK based Sabahan political activist, Doris Jones who stated in an online news report that her activities is an education campaign to raise awareness. 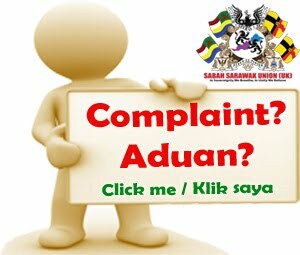 Early this September, a report surfaced in The Star about her controversial activities on secession and campaigns via social media which has been around since 2011 and has even caught the attention of the authorities to investigate the group that includes over 25,000 “likes” of state cabinet minister, opposition leaders, policemen and media affiliates. 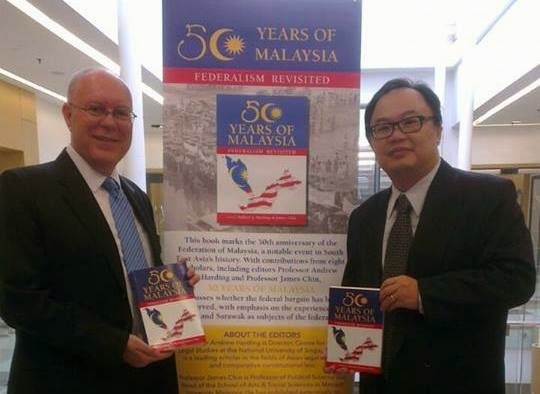 Prof James Chin and Andrew Harding, author of “50 Years of Malaysia: Federalism Revisited”, they refocus the discussion on human rights issues and political dilemmas faced by the peoples of Sabah and Sarawak. 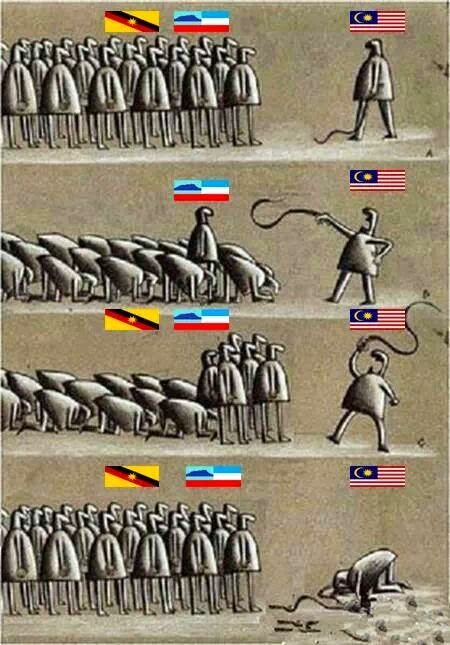 Do the secessionists have valid reasons? 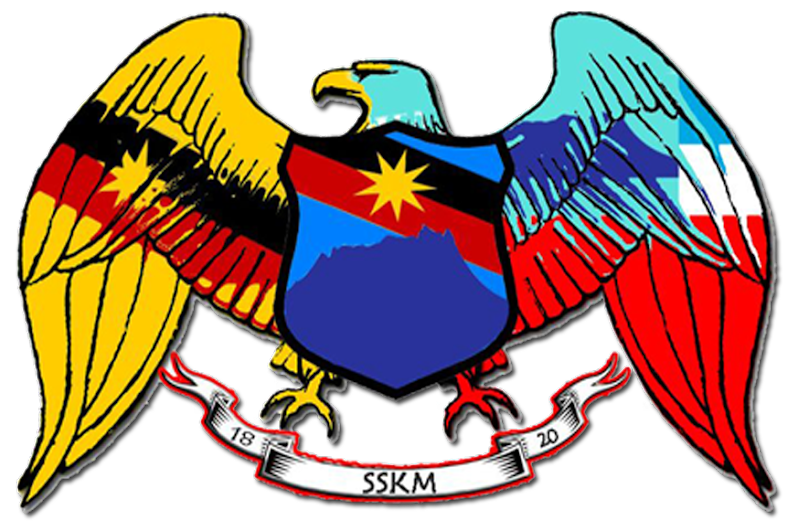 In the SSKM’s official blog site, http://www.sabahsarawakmerdeka.blogspot.com, they claimed that during the formation of Malaysia in 1963 was the beginning of political slavery for both Sabah and Sarawak, in which they were taken for granted and only get the attention of the federal government during election time. The group also emphasizes on how their palm oil and rubber resources should have contributed to both states’ massive development during the escalation of the commodity prices but they were left out. 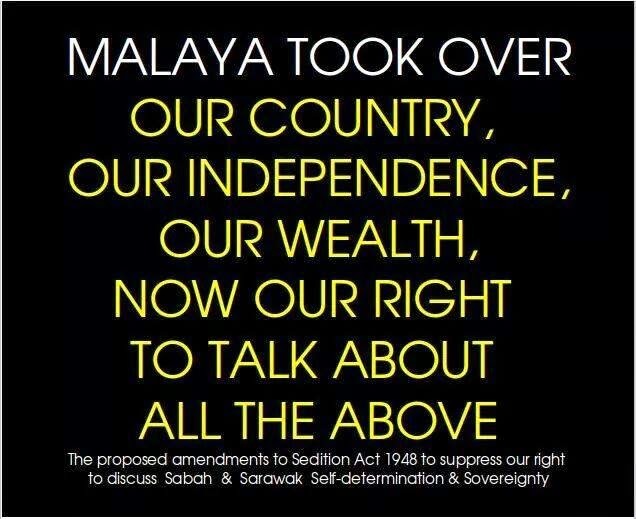 Prof James Chin, a political science professor from Monash University believes that the movement to secede is real but disguises itself because secession is treason under Malaysian law. 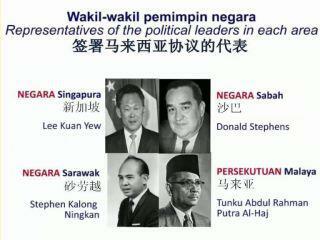 In his book co-editored with Andrew J. Harding, “50 Years of Malaysia: Federalism Revisited”, they refocus the discussion on human rights issues and political dilemmas faced by the peoples of Sabah and Sarawak. 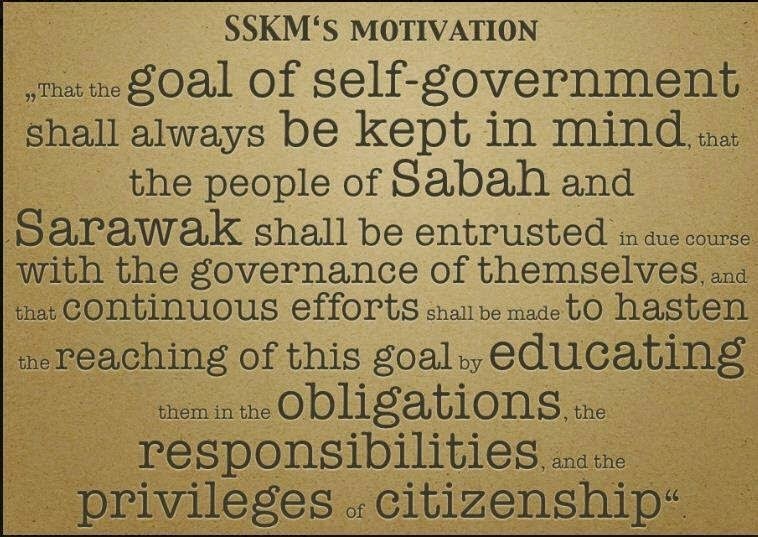 Among the core issues that Chin attributes to leading to the current build-up of tension between the federal government and Sabah and Sarawak are the ’20 Points Agreement’, the status of Sabah and Sarawak in the federation, the manufactured consent towards the formation of Malaysia, the intervention of federal in state politics and the ‘Ketuanan Melayu’ and ‘Ketuanan Islam’ issues. 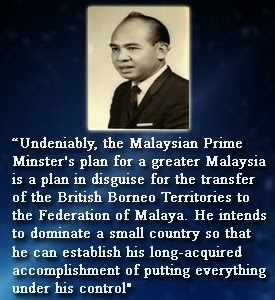 According to the book, Professor Chin’s wrote in his chapter on ‘Federal-East Malaysia Relations: Primus Inter Pares” that both states suffer from under-development, that what should be ‘Borneonisation’ as been replaced with ‘Malayanisation’, where native people are perceived to be treated as second-class bumiputera and non-Muslim bumiputera feel that they have been discriminated and the resources that they have are being exploited to benefit the Muslim bumiputera. Incidentally, Primus Inter-Pares means ‘a first among equals’ in latin. What has been the federal government’s response so far? 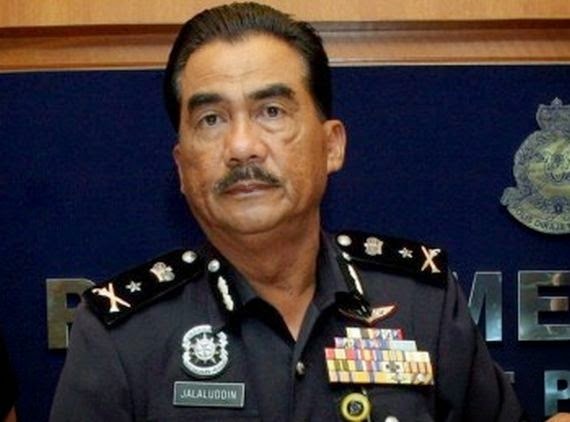 The activities of the SSKM group has already been subject to a police probe in which Sabah’s Police Commissioner Datuk Jalaluddin Abdul Rahman told The Malay Mail in early September that the investigations is ongoing under Section 4 of the Sedition Act. 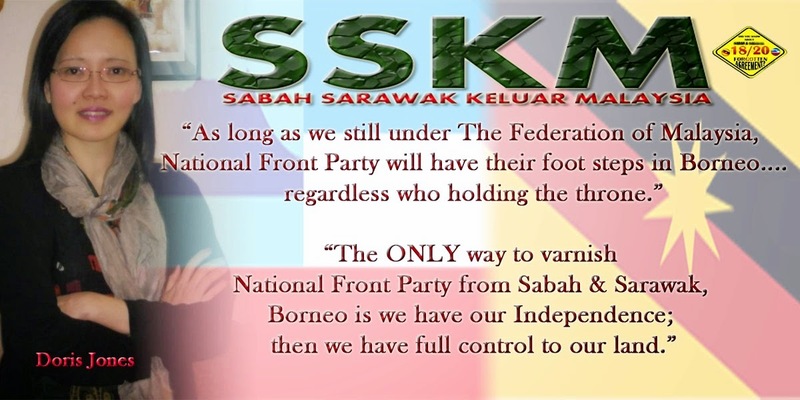 The inaccurate information from the SSKM blog has allegedly influenced Sabah’s rural people that can lead to racial disharmony. 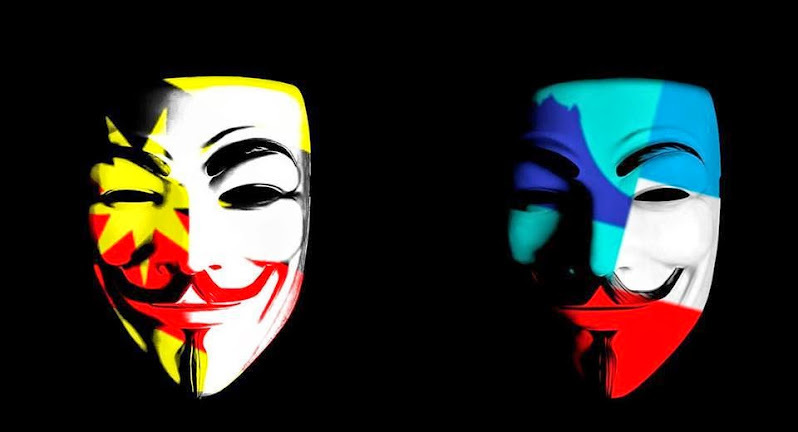 A special task force has been set up to trace the mastermind behind the Facebook page as well as other unregistered pro-secessionists groups in the social media. 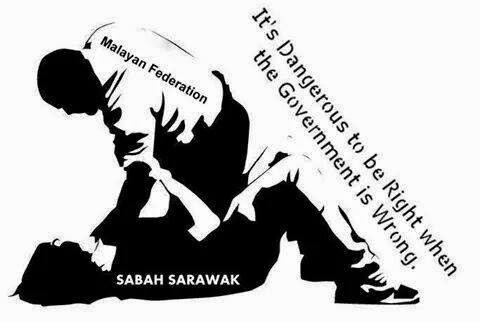 Sabah Chief Minister Datuk Seri Musa Aman told Bernama that the federal government had made it known that both states are important in the federation where billions of ringgit were channeled yearly for the benefit of the people. 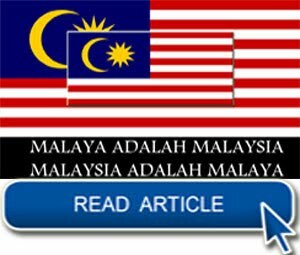 Home Minister Datuk Seri Ahmad Zahid Hamidi is also taking this matter seriously by giving warning of stern actions for those who incite the states’ secession. 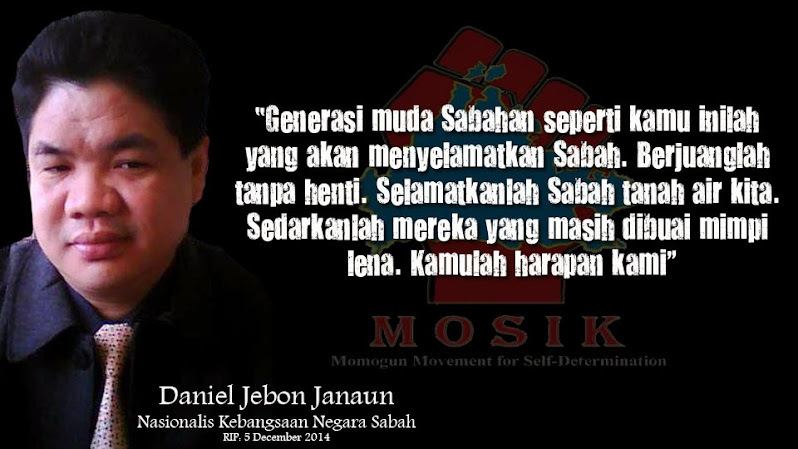 He also vowed that the government will defend the sovereignty and safety of Sabah by enhancing the security forces in the East Coast. However, the federal government is also not ignoring the causes that have led to these separatists movements. 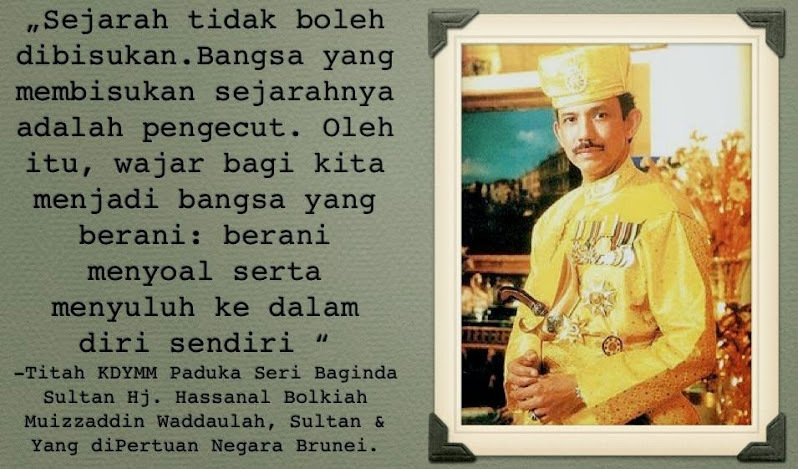 Even for Sarawakian, Datuk Dr. Wan Junaidi Tuanku Jaafar, the Deputy Home Minister called on federal ministers and officials to stop paying lip service and take the issue seriously. 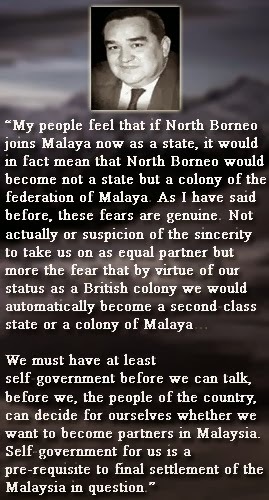 “Ministers and elected representatives in Sarawak and Sabah must continue to fight for more development to fulfill the dreams and aspirations of their forefathers without the fear of losing their position and status in their respective states” he told The Borneo Post. 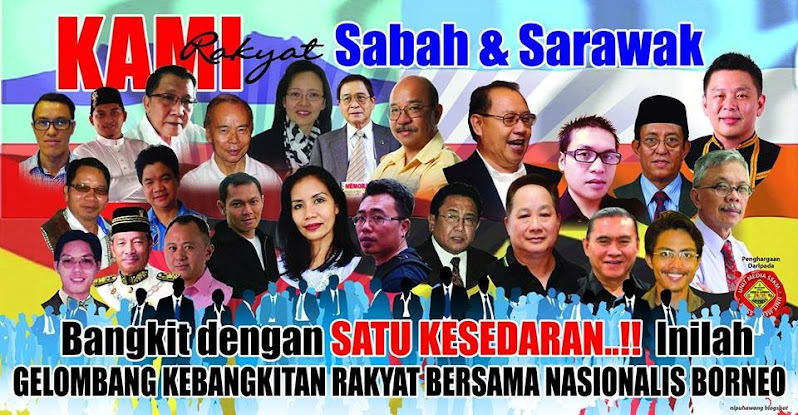 The Santubong Member of Parliament thinks that these separatist movements do not have the popular support of the people and will only ended up in disarray and East Malaysians should stick with bigger federation amd work out their differences rather than break-up into small, independent entities. He cited Doris Day, the SSKM activist as a disgruntled politician. 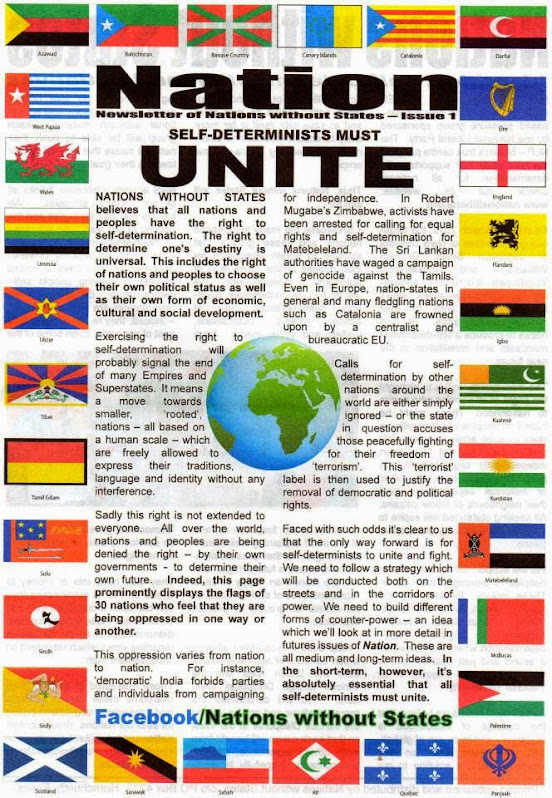 Are there other hidden agendas by these separatist movements? 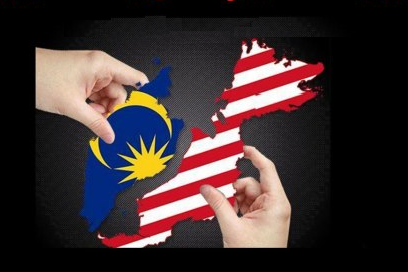 Senior Lecturer Dr. Jeniri Amir from Universiti Malaysia Sarawak (Unimas) relates this issue to the increasing dependence on East Malaysia by Barisan Nasional (BN) especially after the 2008 and 2013 general election in which both states contributed a lot to the success of BN. 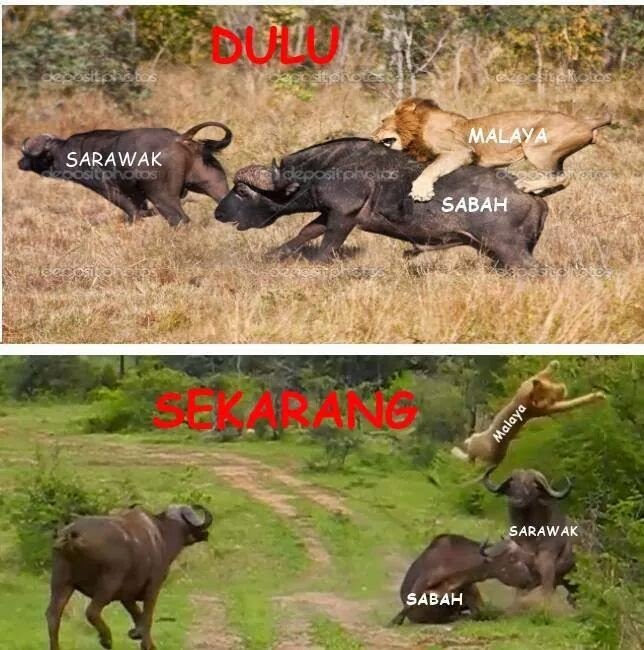 “The increase in votes from East Malaysia is due to the fact that the people believe that BN can deliver, they do not have that kind of trust with opposition parties. 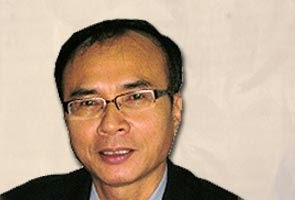 To them government is equal, an opposition is always an opposition,” he said. 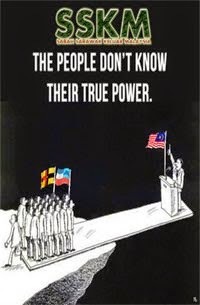 As the federal government had enjoyed majority support from East Malaysians during the last two elections, there is a possibility that those who are against federal rule are bringing up the secession issue by causing discontent as they are unable to sway the majority support for the federal government in a general election. 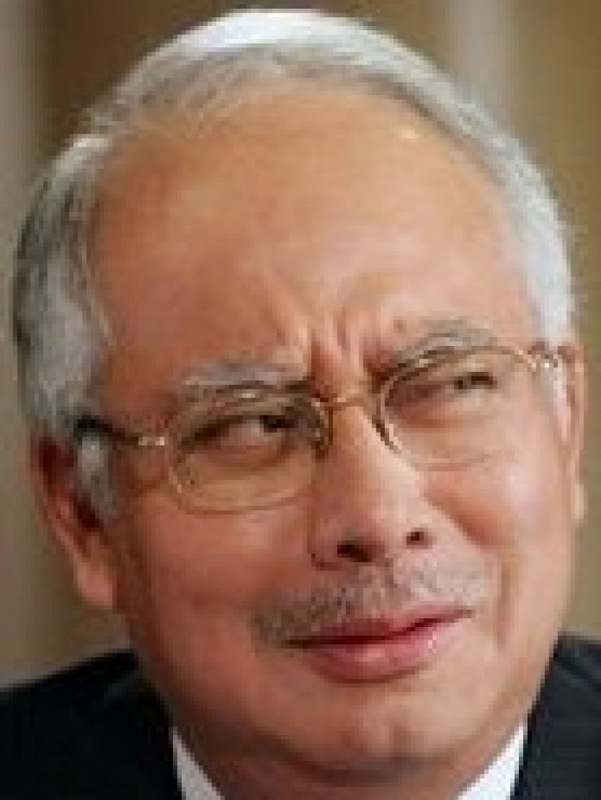 “It was only after Najib took over the government that Hari Malaysia was announced as an official national day to commerate the formation of the federation,” he added. 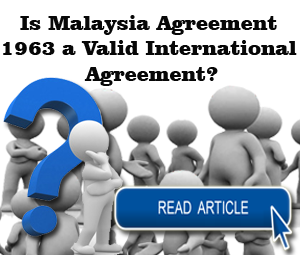 “Most of them are not satisfied with certain parts in the 20 points agreement as it has not been fulfilled by the government. 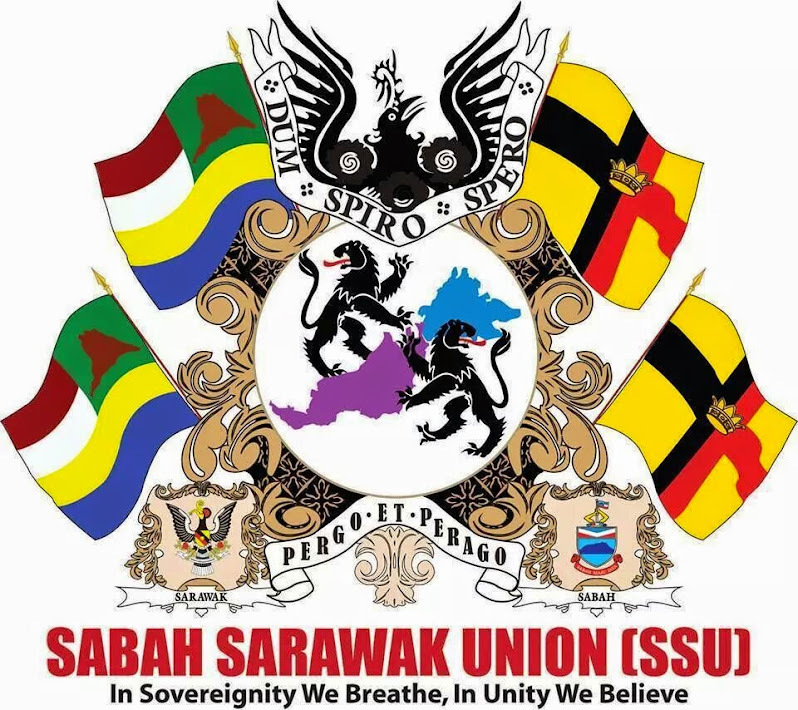 These people need to understand that there should be no right to secede from the federation as stated in point number 7,” Jeniri said. 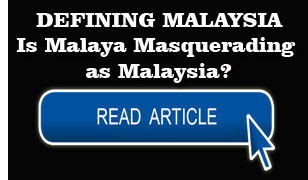 As the Scotland referendum is currently taking place to decide its independence from UK, Malaysian Digest brought up the question of whether East Malaysia will ever face such a decision? Jeniri said this kind of behavior should not be condoned and emphasized that actions should be taken or more importantly effort to provide explanations to the people to instill a strong understanding on historical facts. 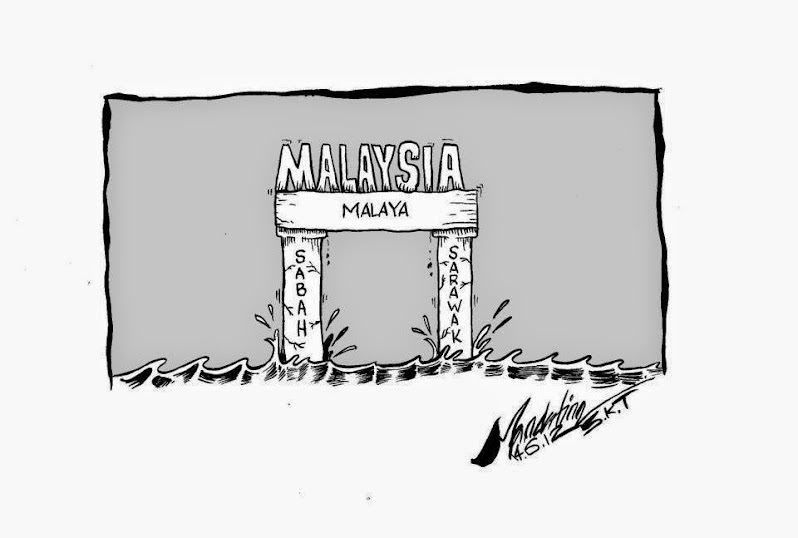 “I don’t think that it’s ever going to happen [secession of East Malaysia] in the near future, but we don’t know what will happen in the next 200 or 300 years,” said the political expert. In Scotland case, among the implications could be a negative impact on its economy, national debt and value of its currency. 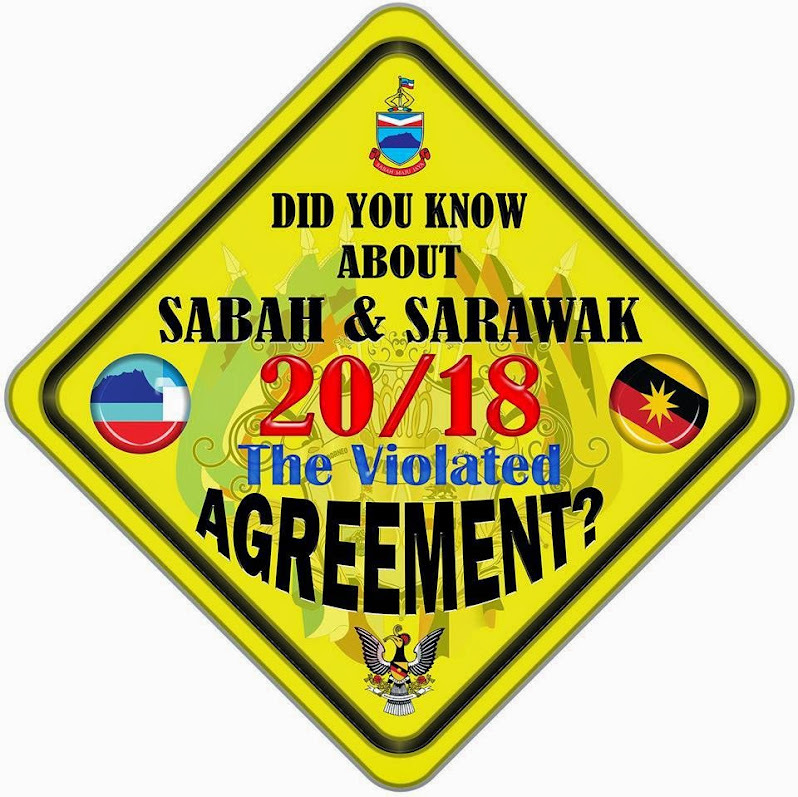 As, for Sabah and Sarawak, the moment Sabah is out from Malaysia, it will be claimed by Philippines, who has been defending their rights on the state. 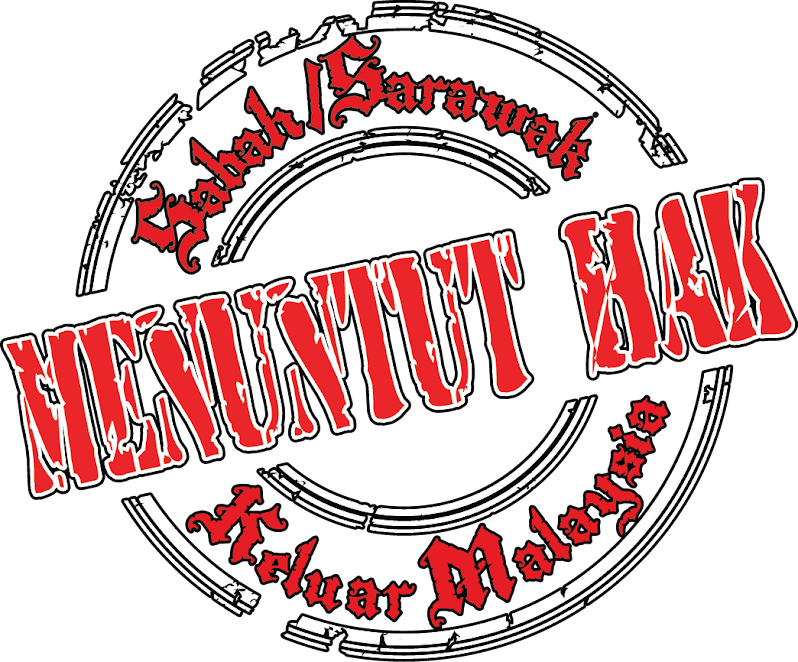 Prime Minister Datuk Seri Najib Tun Razak said that problems arising on this matter can be “negotiated in the family spirit”. “Bottom line here is that the federal government needs to address the underlying problems and weaknesses that are going on. 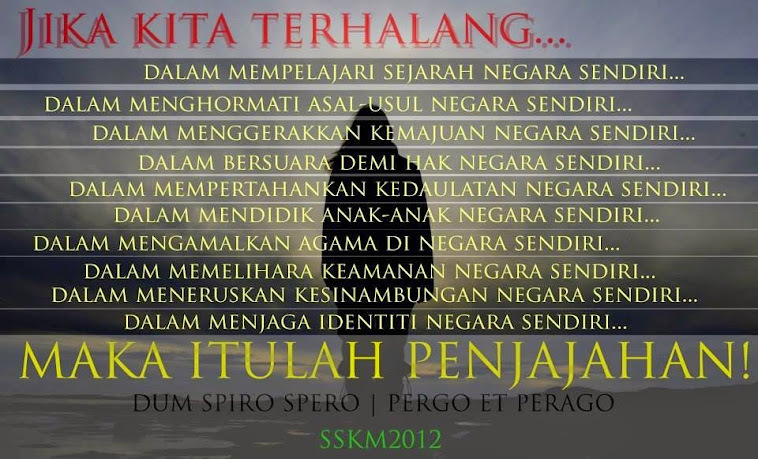 Don’t take it for granted, otherwise it will become more complicated,” he said.